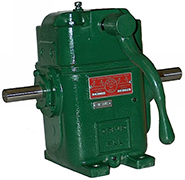 Drive-All gearboxes maintain a constant horsepower at start up and across different speed ratios allowing them to be utilized in applications where variable speed motors fall short. Our units not only maintain a constant horsepower, they actually increase output torque as speed is reduced. 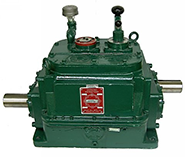 Drive-All industrial multi-speed gearboxes are designed for a long-life, low-maintenance operation. Today's motors have been designed to provide greater dynamic performance to a growing number of industries and applications. 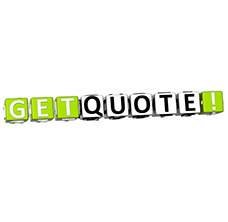 Drive-All industrial multi-speed gearboxes are designed to meet the challenge. 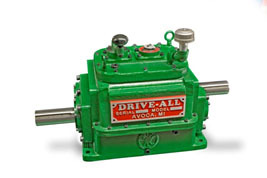 Drive-All offers a full line of multi-speed reducing gearboxes (custom designs are also available) to meet your unique application. 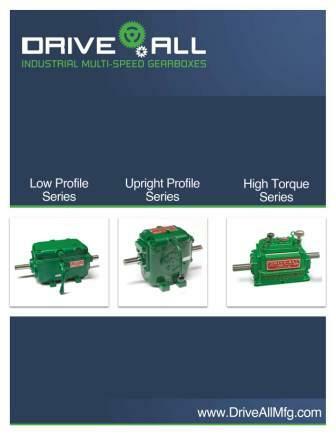 Our multi-speed approach to gearbox design has resulted in three unique groups that offer the right performance and value.